Are you at the moment feeling unhappy with the cluttered state of your home? Are you searching for a practical solution? 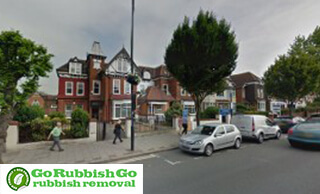 Go Rubbish Go offers affordable Chingford, E4 house clearance services which will finally empty your house of all its useless items. For the past 10 years, our company has served many communities with utmost expertise. So if you are searching for a trustworthy and professional company, we are more than willing to meet your demands. If you feel that we can help you in your situation, please call us on 020 8610 9182 to book your house clearance E4 today or to simply find out more about our services. If you are on a budget, or if you feel that some companies will offer you better service for a cheaper price, we will ensure that we give you affordable prices for your Chingford house clearance E4. Our many deals will ensure that you can afford our services, and we are confident that you will find a deal suitable to your price-range. In addition, we promise to charge only for the goods which are cleared from your home, which will give you as a customer control over price and the work done. Call 020 8610 9182 to get a free quote! Take advantage of the lowest house clearance prices in the Chingford area. To provide you proof of our dedication and our quality as a company, all of our workers undergo thorough background checks and careful training to make sure they will outperform any other competitors. In addition to this, all of our team members are given the best tools and equipment for their work. Our vehicles are of the best quality, and all this is to ensure that your Chingford house clearance is of the highest quality. Our current workers are a product of more than a decade’s work to bring our customers the best service. 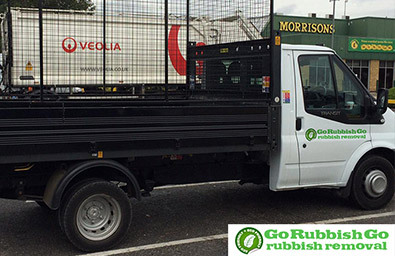 With Go Rubbish Go, you can be sure that our service in E4 will be done with professionalism and care on behalf of our workers during your house clearance. After booking with our company and after having your home cleared of all its junk, you can finally view your Chingford home with a fresh view! You will be able to look around your home and plan the hobbies, the new furnishing, or just leave it as space for you or your kids to roam around. We aim to give you peace of mind through returning your home to a cleaner, more spacious state with our house clearance service. A house clearance Chingford will give you back what you once loved about your home, so call 020 8610 9182 to find out how to book your house clearance today! Our company has taken many measures to make sure that we as a modern company are keeping the environment healthy. If you book for a house clearance in Chingford E4, more than two-thirds of your junk will be recycled. Our vehicles are also careful with O-zone emissions, meaning we will be certain to take the shortest routes to your E4 home in order to waste as little fuel as possible. Our care for the environment is one of our positive traits, and if you book a house clearance with us, you will be doing your bit for the environment. Book today on 020 8610 9182 for professional and environmentally friendly E4 house clearance Chingford service! 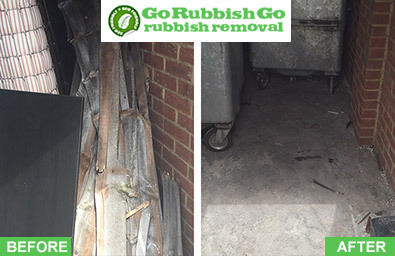 Another reason why you should book a house clearance with Go Rubbish Go in Chingford is our emergency services. If you feel that you cannot find the time for a house clear-out, we are open to work on the same-day you book. We are also able to give you what you need at weekends and even on public holidays which is more than most other competing companies. Don’t believe for a second that your busy schedule will get in the way of your E4 house clearance. As a company we are eager to work around the obstructions in your schedule to give you just what you need. Never mind your busy day, call us straight away! The district of Chingford is situated in the East London Borough of Waltham Forest. Near Essex, Chingford is a fairly rural area with two reservoirs close to the river Lea and the river Ching running through its main area. The King George V reservoir is hosts the local sailing club. Chingford holds a few historical buildings, such as Queen Elizabeth’s Hunting Lodge and the All Saints Church. The district is also home to numerous sports teams – both rugby and soccer, and numerous parks. The Chingford Railway Station is easily accessible for transport needs and there are numerous nearby London Underground connections, such as: Loughton, Woodford, Roding Valley and Tottenham Hale.